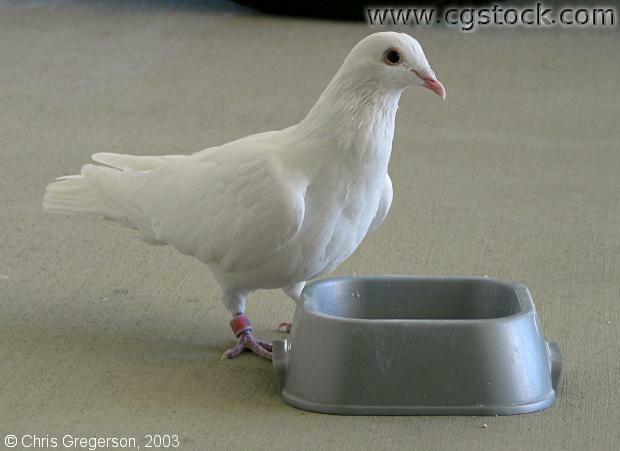 This dove visits my Mother's home, eating food she leaves in the food dish pictures. She doesn't know his history. He has a band on one leg, suggesting he began life as a pet.